This Bosch washing machine features Eco perfect washes at 60° and 40° timed perfectly for your cottons and colours, steeping your clothes and using fewer tumbles to save energy. It also features a quick 15 minute wash for those emergency items – tomorrow’s work shirt or school uniform. Special features include Vario-perfect which is control of speed and temperature; Active water , which is control of the amount of water used per load; and an anti-vibration system for quiet running and stability of the machine. Other features are a 3D aqua system which soaks the load in less time saving energy and a flow through sensor for water management. The Bosch Exxcel has a wave drum, reload facility and a safeguard monitoring system to stop clothes catching or ripping. 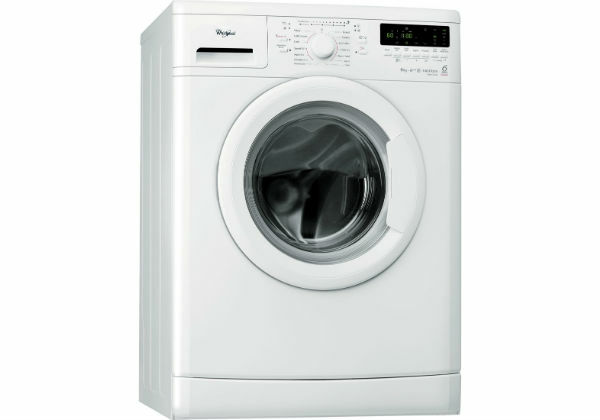 It has a self- cleaning detergent drawer and buzzer to tell you when it is the end of the cycle, as well as a child lock. The dimensions are; 59.8 x 84.8 x 55.0. Its maximum spin speed is 1400 rpm and it runs on spin at 76db, so is quiet. Its running cost, based on 15p per unit of electricity, is approx £27 per annum. The drum capacity is an 8kg load which is quite large. It uses 179 kWh of energy per year or 0.82 kWh per wash. 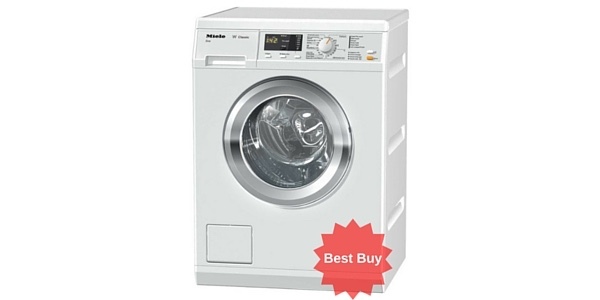 It has an A rated wash performance, a B rated spin performance and is rated A+++ energy efficiency level, the highest level, thus saving your energy bills. It has a wide opening door with metal catch and safety lock. The Exxcel has a 24 hour time delay so that you can set it to start when convenient to you. It is cold fill, only heating as much water as needed and has a hand wash programme as well as a wool cycle and mixed load cycle. It also has an easy iron cycle. Customers said it was a good, well- built strong machine and had not many complaints about it. Some customers said there should be a spin only facility but others said the spin function was very satisfactory. 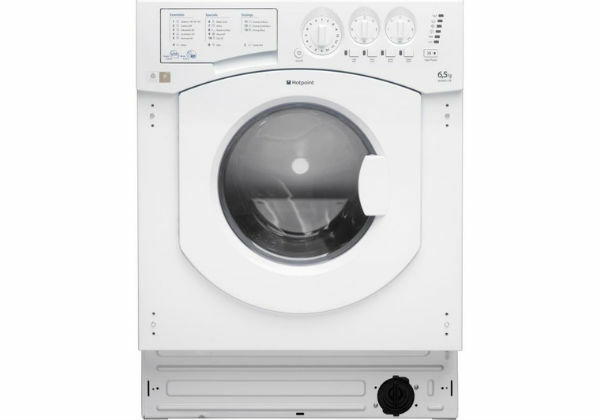 Customers were pleased with the large capacity drum and the fact that you could vary the time of the wash cycle from 15 minutes, 55 minutes and 2 hours answering most washday needs. The 15 minute cycle was very popular. 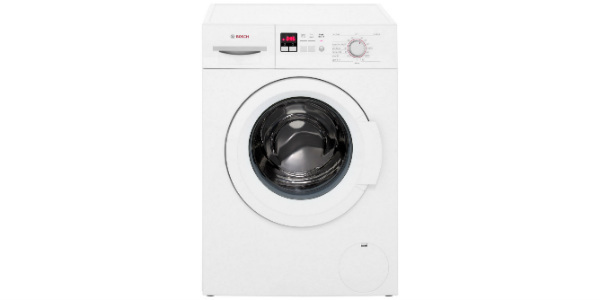 The Bosch WAQ283S0Gb retails at a pretty reasonable £389. Great machine from Bosch. Does everything you'll need at a pretty reasonable price. I bought this as a replacement for an older Bosch machine which had lasted 8 years!!! so I have high hopes for this. So far I’ve been very happy with just about everything about it. It’s very well built as Bosch machines always are. Plenty of features and programs and the 8kg capacity means you can get big loads done. Essential for a family like ours (4 kids – all messy). I would definitley recommend this machine to anyone.